Polypropylene and Metal Back. Aluminum Snap Adapt Handle. 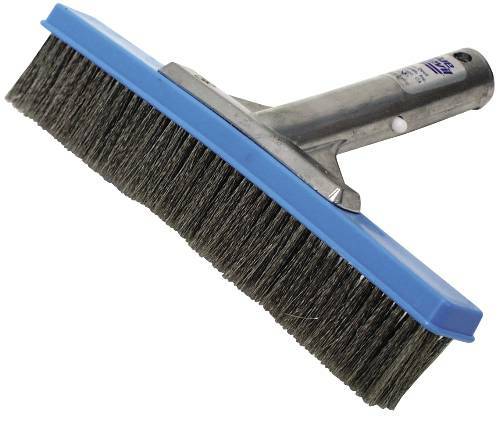 Stainless Bristles (Not For Use with Vinyl Liners). 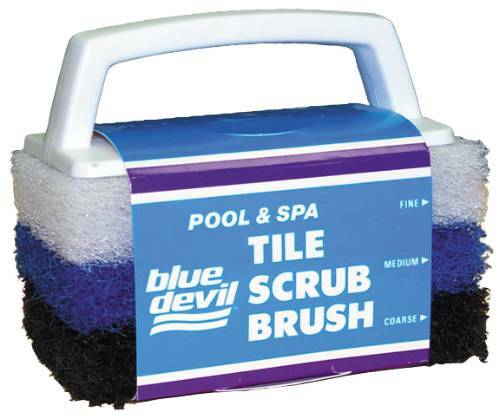 POLYBRISTLE POOL BRUSH WITH METAL BACK, 27 IN. 24" Aluminum Back. 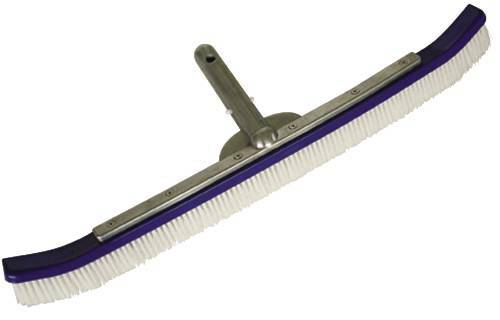 Blue Nylon Bristles. Snap Adapt Handle. 3 Interchangeable Pads: Fine, Medium and Coarse Grade. 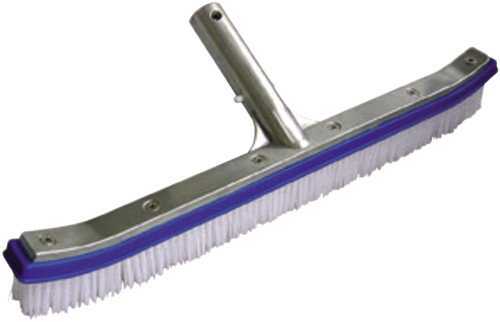 Blue ABS Molded Metal Back. Snap Adapt Handle. 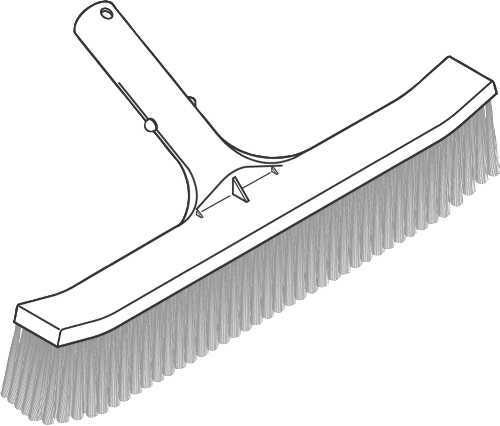 White Nylon Bristles.